Zoopla – Check up on UK property prices with current and past values. This site also allows you to estimate potential rental yields. Rightmove – View properties from many estate agents all in the same place. Nethouseprices.com – See what price property has sold for to help you value your own. Propertypriceadvice.co.uk – Free property valuation. Property-Bee – This site shows properties which have recently been dropped in price. Home Check – Find out the likelihood of a property flooding or subsiding. Council Tax – Check council tax band of a property. Money Saving Expert – Learn how to challenge a council tax rating. Enfield Storage – Our sister company offering drive up, easy access storage units. Blinds In a Box – cheap temporary blinds that are easy to install and require no tools. Just peel off the adhesive strip and hang, covering bare windows quickly and cheaply……..simple! Period Fireplaces – Specialists in period cast iron fireplaces. Huge range displayed on this website and all come with free delivery. Barnet Lock Centre – Highly recommended locksmiths. We strongly recommend that after moving to your new home you change your locks and you won’t find a more professional or reliable locksmith than those at Barnet Lock Centre. – Mention this link for a 10% discount. 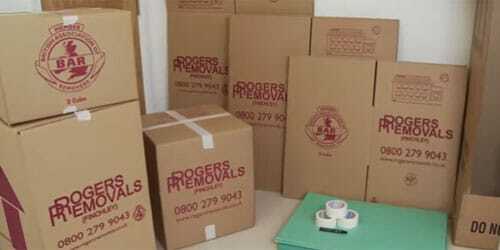 reallymoving.com – A must visit website for the home mover. Using this site you can gain automatic quotes from solicitors, surveyors and removal companies. The site also offers a property search and a lot of useful advice. Over the years we have been recommended by many estate agents across North London. Visit our Estate Agent partners page for more information. Wedding Cars – Love Classics offer a range of beautiful classic cars for weddings, romantic weekend, anniversary or just a treat for yourself or loved one. Wipeout Ltd – Have your path, patio or driveway looking its best when prospective purchasers visit. Wipeout offers a reliable jet cleaning and graffiti removal service. The National Solicitors Network – Over 500 solicitors throughout England and Wales. Easier 2 Move conveyancing – The UK’s leading online conveyancing specialist. Virgin Money – A mortgage account where the interest is calculated daily – which could save you thousands of pounds. Your Mortgage – Independent mortgage advice. British Telecom – The nations largest telecommunications company. British Gas – Suppliers of gas and electricity. Npower – Suppliers of gas and electricity. PlusNet – An internet service provider. BAR Services – Removal boxes delivered to your door free, tomorrow. Best prices on the web. Your New Home – An internet magazine for home movers. Becky Beach Magazines – Local magazines with lots of useful information and local news for residents around North London. B&Q – The “Do It Yourself” superstore. Ra Alloy – Strong aluminium ramps ideal for removals. You won’t find better! and most important of all – great at restoring order out of chaos. On how many floors is the property situated on? Is there a lift available for us to use? How many reception rooms do you have? Which floor is your flat on? How many bedrooms do you have? Do you require an estimate for containerised storage? Our estimate will be based on the information that you have given us above and will be subject to our surveyors assessment that will take place before we carry out any work. Every month we scan and publish every feedback form that we receive. Select any month to read the signed reviews of our service, written in our customers own writing. We invite you to view the originals at our office. We are members of The British Association of Removers. The BAR has represented the professional mover for over 100 years. BAR is committed to promoting the highest standards of customer care. If you would like us to feature your web site within the list of links above (free of charge), please e-mail us with your company details.